Whether a noob, a basic user, or an advanced user, the love of having great backgrounds on the lock and home screens of his/her smartphone is a common passion found in all. Android is a very flexible and customizable platform for mobile devices but in most cases, you have to root your device to be able to apply a theme and thus enjoy a change of taste. The easiest way to keeps one’s phone look refreshing each day is to change wallpapers. They can be easily found and used on a phone. But finding really nice wallpapers is a tough job. At DroidViews, we always give priority to things that help our visitors customizing their smartphones in a better and more beautiful ways. And, it is this idea that we do not miss to share with you any new thing that comes our way! We already have a vast collection of themes, wallpapers, launchers, ringtones, apps and other goodies here that can be easily downloaded from our Downloads Section. 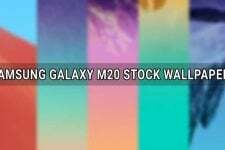 Our latest share is a huge pack of 550 full HD wallpapers for Android devices, or rather all phones, with high-resolution pixel density screens. They have been compiled by neilmc1983, so all credits to him. The wallpapers have been classified into different categories like abstract, Android, aquarium, cities, landscapes, macro and texture. The wallpapers cater to people with different likings and are sure to appeal all. The resolution of these wallpapers are 1080 x 1920 px and thus they are full HD in quality and can be easily used on recently launched 1080p smartphones like Samsung Galaxy S4, HTC One and Sony Xperia Z. 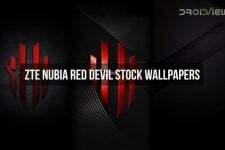 You can grab the wallpapers from our link below. Download and extract the zip and copy all or your favorite ones to your phone using USB cable. Enjoy! Thanks, do not miss our great collection too. You used the incorrect version of the word “Whether” to open your article. The way you have spelled it refers to the weather (sun, rain, etc). It should be spelled “Whether” not “Weather”. So I see – that was quick! Thanks for this. its the easiest way to upgrade the looks of your phone. Would you care to provide the password for this archive? It is not password protected.